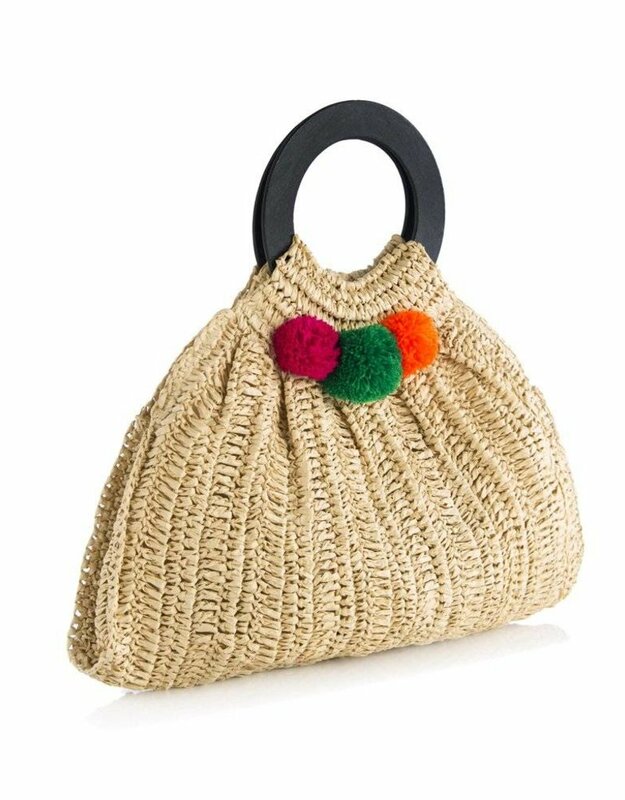 Straw bags aren’t just for the beach anymore, take these casual additions on all your adventures from farmers markets to tropical getaways. 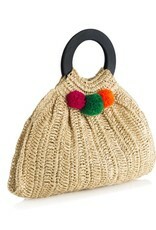 Natural with brightly colored pom pom trim. Wooden round handles.